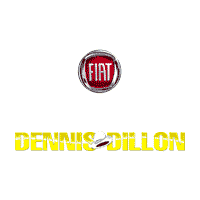 What Makes Financing or Leasing with Dennis Dillon FIAT So Refreshing? When you lease or finance through Dennis Dillon FIAT, we work our hardest to make the process as straightforward as possible while still delivering the best loan and lease terms available. Work to secure loans regardless of credit history. Provide low-interest car loans for existing customers. Help you adjust or refinance your loan. At Dennis Dillon FIAT, our finance team works around your exact preferences and lifestyle to create a finance package that is the best possible fit. That means leveraging strong relationships with a wide network of lenders, so we can secure a loan whether you have good credit, poor credit, or no credit history. Remember that our financing assistance doesn’t end when you drive off the lot. In an effort to make sure you’re always taken care of, we’re always available to help you refinance your existing loan or even adjust the terms of your contract. We also provide a range of ever-changing finance specials, so contact our finance department today to discover the latest deals and incentives. How Does the Financing Process Work? You find the vehicle you want. We work out the length terms and monthly payments. We work with lenders to find the best deal. All the paperwork is put together on your behalf. Payment Calculator : It helps to know how high your monthly payments are going to be, so simply enter the Price, Down Payment, A.P.R., and Term Length to get a ballpark figure. Trade-In Appraisal : Need to know the value of your trade-in before working out your overall costs? Our trade-in appraiser can give you a rough estimate. Easy Online Application : Ready to start the financing process? You can get preapproval from the comfort of your own home using our online financing application. The finance department at Dennis Dillon FIAT is always on your side, so contact us today for any advice or assistance you may need.